HomeBlog Credit Card DebtHow Much Does A Credit Card Cost? 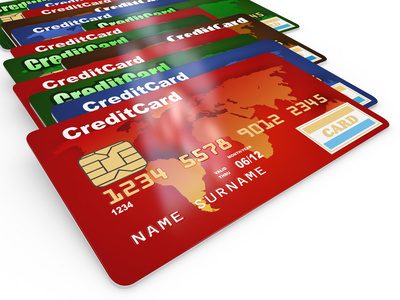 If you’re new to the world of credit cards you may be wondering what they actually cost. Last I read there were about 1000 different credit cards available here in the US so it can be confusing. There are 0% interest balance transfer cards, low interest credit cards, cards with rewards, no-frills cards and plenty of other types. Let’s start by taking a look at those 0% interest credit cards. Those I‘ve ben able to find are all 0% interest balance transfer cards. In other words, they’re designed to get you to transfer your balance or balances from other credit cards to theirs. The major incentive is that if you do so you will not have to pay any interest for a period of time ranging from 6 to 18 months, depending on the card you choose. Let’s say that you owe $5,000 on two credit cards that have an average APR of 19%. If you were to transfer the balances to a card where you’d be required to pay no interest for six months, you would have six months to pay down that $5,000 balance before you would need to pay a single cent of interest. If you don’t pay off your entire balance before your promotional period ends, you’d start paying interest at the rate of 10.99% – 20.99%, variable. Assuming that you are able to pay your balance down to $3000 and your interest rate went to 18% APR, your card would cost you about $40 a month. While a credit card can be a very helpful tool, the important thing is to pay off your balance at the end of each month. If you do this, your interest rate will be irrelevant because you won’t be paying any interest at all. In other words, don’t buy that $100 coat unless you know you will have $100 to pay off that month’s statement. If you want to have a “free” credit card, make sure you don’t choose one that has an annual fee. I saw a survey recently that about one in four credit cards requires an annual fee of around $50. However, in many cases their cardholders are not really required to pay the $50. No matter which credit card you choose and no matter its interest rate or rewards, the important thing is to not carry a balance forward from one month to the next. If you’re not careful, this can easily turn into debt hell, especially if you try to get by paying just the minimum monthly payment required. For example, let’s suppose you let your credit card debt accumulate to a total of $3,000 and your minimum monthly payment was $100. In this case, it would take you 40 months to pay off that debt – assuming you added no new charges to the card. The credit card companies have become very adept at tempting you with offers of cash back, frequent flyer miles and other rewards. While these offers can seem great, you need to weigh what you have to spend to earn them and whether you will be able pay off your balance each month.